Many thanks to Dominic & Stephen for entrusting Kacey to us, she is a delight to live with & as done us proud in the show ring with 6 CC's & numerous RCC's. 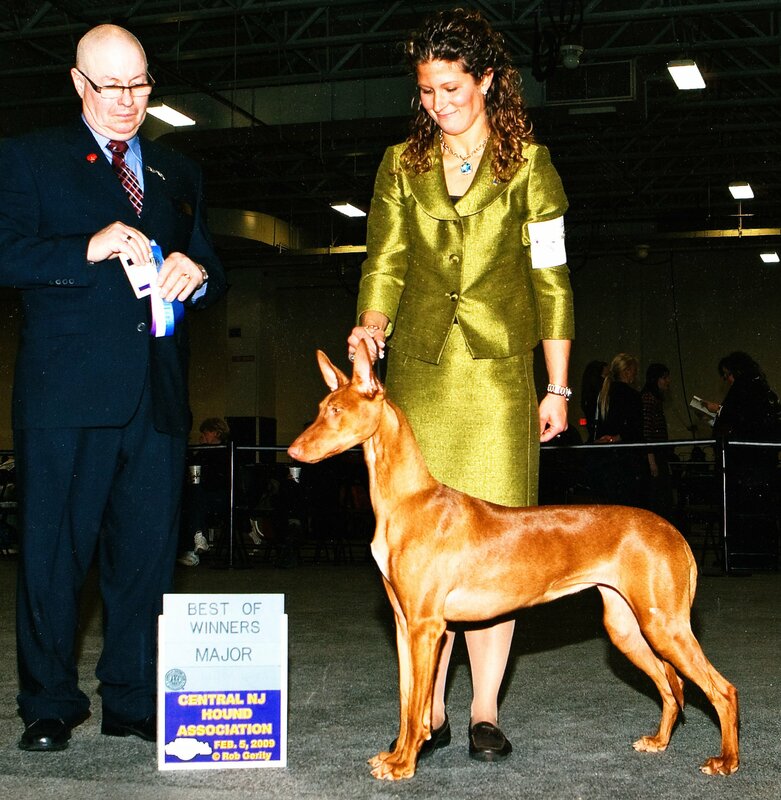 We are forever grateful to Dr Stephen Sipperly & Mr Dominic Carota of the world famous Hallam Hall kennel in the USA for allowing us the opportunity to co-own Sirus in the UK for 18 months. 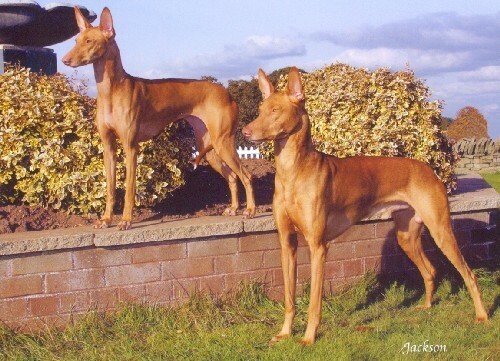 He is a beautifully constructed dog with a fantastic temperament & to live with him even for such a short time changed our outlook on Pharaoh Hounds. 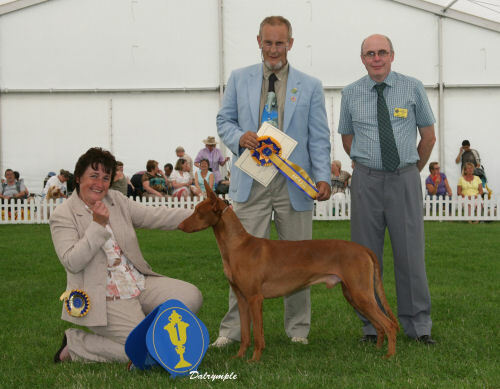 He gained his title in just 4 shows & ended 2008 as the Top Pharaoh Hound in the UK, following on from his #1 Lure Coursing title in the US 2007. 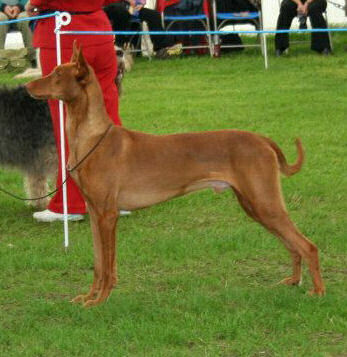 He was the Top Pharaoh Hound Stud dog in 2010, 2012 & 2013. 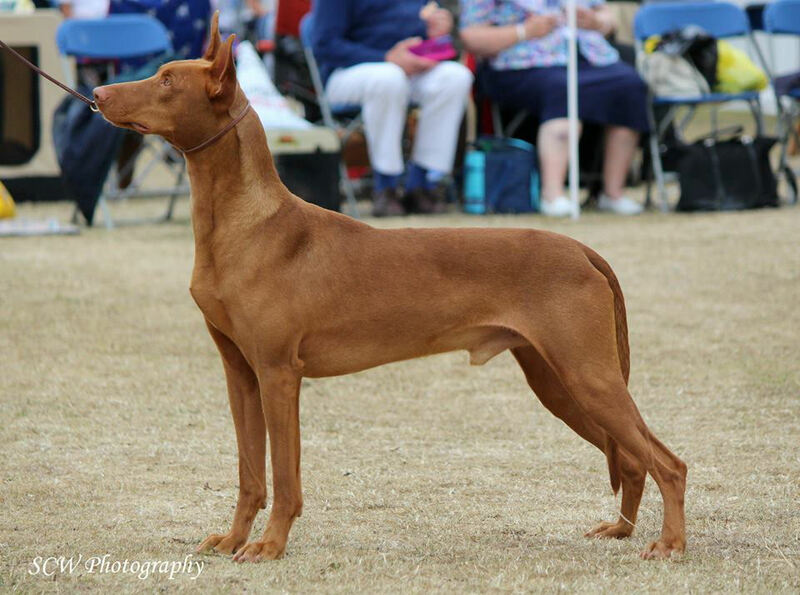 Brodie won 3 CC's, numerous RCC's & finished 2010 as Top Pharaoh Hound puppy before jetting to the USA to win his American title.